in January trip to Lake Havasu City, Az. 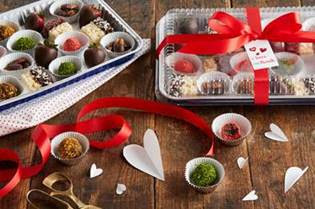 For ages we’ve heard the best way to a man’s heart is through his stomach so, we’ve made this easy, DIY chocolate box—filled with all his favorite sweet treats! 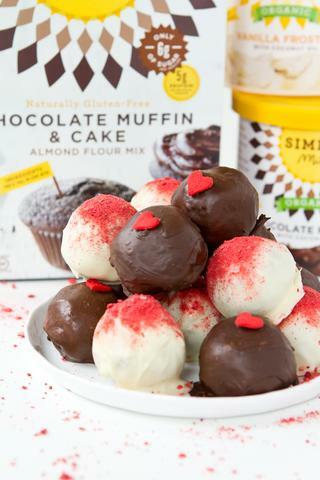 Simply make our favorite truffle recipe (included below) and add in his favorite dipped chocolate goodies and treats. Place inside of a parchment-lined Reynolds Kitchens bakeware dish (so nothing sticks to the bottom) lock on the top, seal with a bow and top with a cute love note! PLACE the dark chocolate in a large bowl. HEAT the cream in a saucepan until it just about reaches a simmer. POUR the cream over the melted chocolate. Add the vanilla extract and let set for 1 minute. STIR the cream and chocolate tougher until fully incorporated and smooth. TRANSFER to refrigerator until firm enough to roll into balls, about 1 hour. Stir the mixture occasionally while cooling. LINE a baking sheet with Reynolds® Parchment Paper. ROLL chocolate into 1-inch truffles. Transfer to parchment-lined baking sheet. Toss in one of the toppings below. Reynolds Kitchen Tip: Chocolate truffles should be rolled into topping mixture while still slightly wet on the outside. 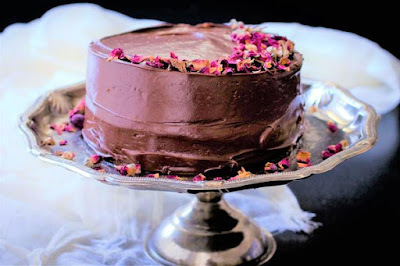 If truffles have hardened, reroll using your hands just before tossing into the topping mixture. PLACE freeze-dried strawberries in a blender. Pulse until powdered. Transfer to a medium-sized bowl. ROLL prepared truffles into strawberry powder. TRANSFER to parchment lined baking sheet and refrigerate until 1-hour before serving. PLACE all ingredients in a medium-sized bowl. Toss and stir to incorporate. ROLL prepared truffles into mixture. We're heading on a road trip to Sedona, Arizona which will provide us with plenty of time and opportunity to spend quality time together while bonding and making special memories as we hit the open road. 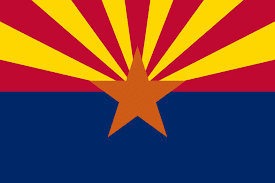 Arizona is breathtakingly beautiful so we plan on taking our time along the way through some very unique and interesting places that only Arizona has to offer to our final destination in Sedona where we hope to indulge in some other sight seeing along the way as well. Sedona is home to the most amazing red sandstone formations that glisten shades of red and orange with the rising and setting sun. Sedona is truly a magnificent little city with so many things to do and experience that offers something for everyone from arts and culture to excellent outdoor activities such as balloon and helicopter rides to just take in some breathtaking beauty from above, including national parks for outdoor adventures and explorers to amazing resorts and spas. We've done our research and plan on stopping at Camp Verde Historic State Park to enjoy its natural unspoiled beauty. 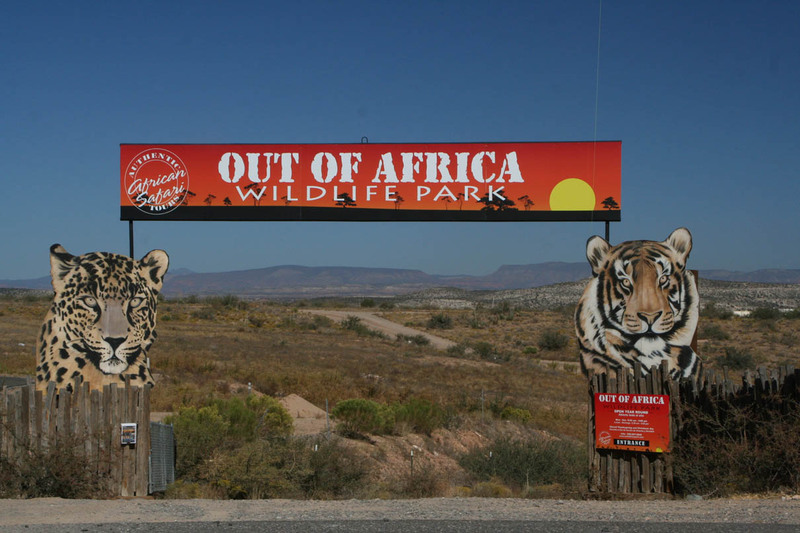 Camp Verde is located at the Southern tip of Verde Valley and surrounded by beautiful 6000 to 7000-foot peaks. Camp Verde is a wonderful place to explore either by hiking the most awesome picturesque trail, boating, and kayaking or just standing idly by and fishing the day away. The Verde River runs through the camp, right in the middle of the dessert bringing added beauty to the landscape with it lush and unique foliage. We also plan on visiting the Montezuma Castle (a 20 room, 5 story castle built 70 feet above ground level which lays north of Camp Verde which should provide us with some extraordinary photo ops including Montezuma Well nearby which is actually a 55 feet deep limestone sink-hole that is fed by underground springs! It looks like a wonderful place to rest and picnic and enjoy the scenery. We're definitely looking forward to this getaway as we head out this week. As a frequent RV traveler, we are on the road alot, from our departure points to our destinations.Having a Magellan MiVue 420 Dash Cam gives us the sense of security should the unforeseen happen while on route through the many cities we find ourselves traveling through. Beautiful scenery, crossing wildlife, outrageous behavior, and other unexpected events also occur while driving. With the MiVue 420 we can capture these events and with a press of a button, protect the footage from being recorded over. Which we could then share with friends and family in person or via your social media connections. What I like about this product is it has simple and easy to use instructions, installation takes a few seconds and the cam itself does not obstruct driver's view through the front windshield. It also has many features in one product that offer more than just your average dash cam. I really cant say enough good about this product. Only if your in the market for one, this is the one you want to get. I love subscription box services. Love them! They are such a fun way to try new products. Getting a new box in the mail too feels like Christmas and they are so much fun to give and receive. My boxes were filled with great products that Gerry and I both loved. 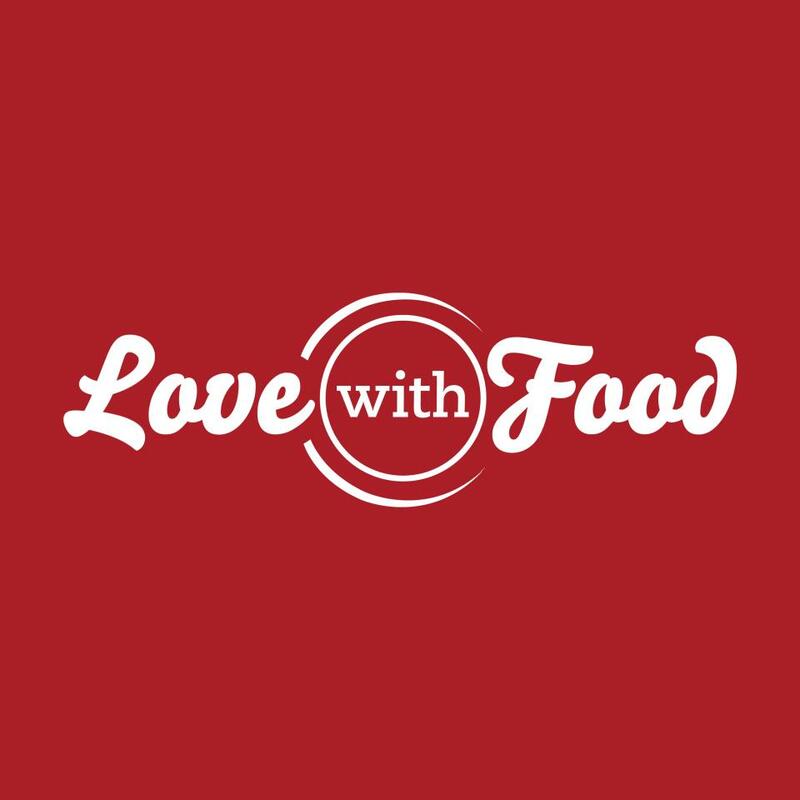 Love With Food will help you discover new organic, all-natural or gluten-free snacks delivered to your door monthly. 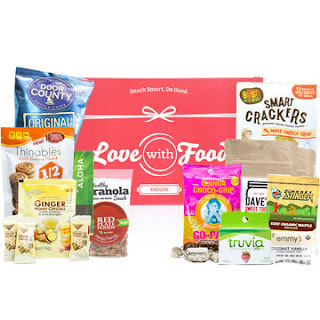 You will receive a box of mystery better-for-you snacks every month and their membership starts as low as $7.99/month. Be sure to check out their Sweetheart Sale on now till February 15, 2017. Buy a 6 month or longer plan and get $10 off AND a Bonus Sweet Box ( $20 value). Use Code- VDAY2017 at checkout! 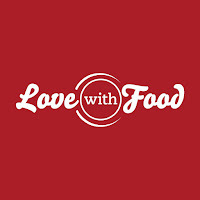 What a great thing to know too that they donate a portion of the proceeds to help fight childhood hunger in the US and around the world.They donate to organizations like Feeding America and The Global Food Banking Network. 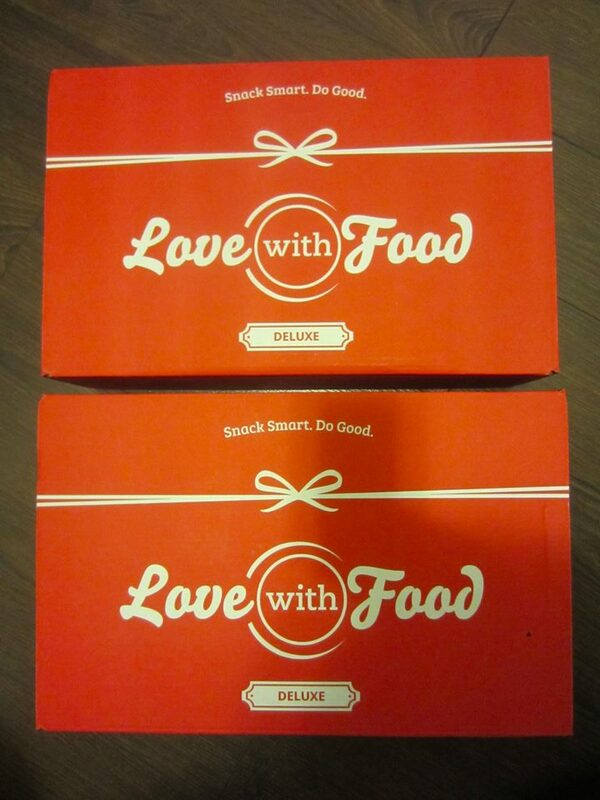 One of my New Year's resolutions for 2017 is to eat healthier so Love With Food subscription boxes are really great! I received two boxes including the Holiday With Tiffani Deluxe Box and the Seize The Day Deluxe Box. I found both boxes had a vast selection of healthy snacks including gluten free and organic. It was awesome to try a bunch of new brands. Some of my favorites between the boxes were Dave's Sweet Tooth toffee, Door County potato chips and Lucy's cookies. 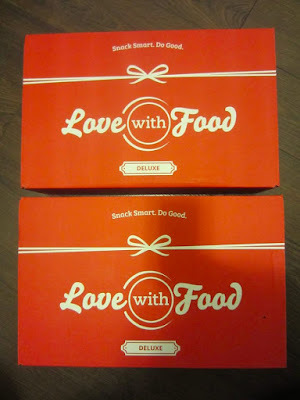 Overall, I really enjoyed the Love With Food subscription boxes and would recommend them. What's better than getting healthy, delicious snacks delivered right to your door?! Did you know that January is National Baking Month? 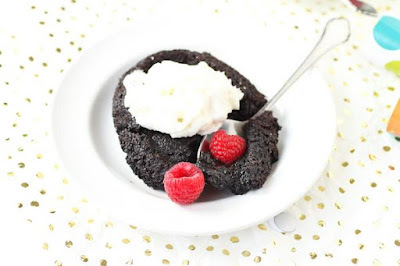 I love to bake- and I'd love to share a couple of my favorite recipes from Simple Mills. They make great tasting baking even greater with their simplicity of their easy mixes. Simple Mills is a snack and baking mix company that specializes in wholesome and healthy ingredients. Mixes are all simple to make and easy to love! Happy National Baking Month from Simple Mills! Big Horn Sheep in Our "Backyard"
Saw neighbours camping today that had their binoculars turned towards our RV and the hills. When Gerry looked out the window- there they were, the big horn sheep. It was the mamas and their young. The male was a long ways up on another hill overlooking them, but you could sure see his massive horms from a distance. ( Didnt get that photo as he was too far up). It is the eternal battle isn't is? How to get everything you want out of a small amount of money? It's not the easiest, but it is possible, and there are some tips and tricks that can help you do it. So read on for some advice on how to make your money go further, without missing out on all the things you want. The number one mistake most Americans make is that they end up spending a small fortune on coffee house beverages. I'm not saying you should give the coffee up, far from it! But is it really the best use of your hard-earned money? Probably not. That is why you should consider getting your own coffee machine. By spending the amount, you would over a month on coffee shop drinks you can get your own coffee machine like this one. Then you can have good quality and specialty brews whenever you want for at a fraction of the price. It is just simple math. I just don't understand why people don't do it more. Maybe they think it's more convenient to buy coffee when they are on the go. But it's easy enough to brew a pot before you go out the door and just decant into an insulated travel mug for your journey! Even if you are buying one coffee in the day during work hours, why not get yourself a coffee machine for the office? Or, even better, split the cost with your colleagues? Then you’ll hardly be paying anything at all, and you have someone to split the coffee bean bill with too. Another essential way of squeezing more out of your money is to shop savvy. This means coupons and vouchers like the ones at DontPayFull.com, should become a major part of your shopping routine. Some folks never buy an item without a discount coupon, and you need to be more like them. Coupons are available for all sorts of items. One of the places you can use them for the biggest saving is in your grocery shop. Clever couponing can get you a massive stockpile of items for free! To do this, you will need to understand your store’s coupon policy on doubling and on the maximum number of coupons allowed in one transaction. You'll also need to collect multiple vouchers, so ask friends and family to save up coupon inserts for you. Another savvy way of shopping is to keep on top of the items that you will need for the coming year, and only buy them when there is a sale on. For example, anything from kids toys to winter clothes can be bought at fraction of the price if you time it right. This means you can stock up your wardrobe and you gift pile for next to nothing, if you are clever about it. The days after Christmas are a great time for getting toys and games for the younger members of your family, as well as winter shoes and boots. So make sure that is on your calendar. Another way to squeeze more from your money is to leave your pride at the door and consider preloved items. Preloved or secondhand and items are a great way of getting the things you really want for a discounted price. Some people are a little funny about second-hand items, they feel like they are ‘dirty’ or won't be as good. But this is rarely the case. Especially in terms of expensive things, as people will have made an effort to look after them. Great items to buy preloved include electronics, computer games, and mobile devices. This is because the new one comes out so quickly, that many folks want the next upgrade, even though their original items are still in great condition. 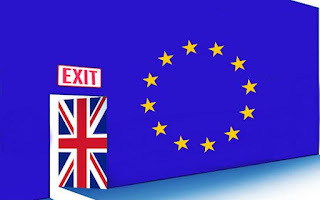 Lastly, most people have heard the phrase speculate to accumulate. But it tends to be used regarding buying things to sell and make a profit on. But in this case, it's about selling things to enable you to buy something else. If you find yourself wanting something, but you just have the money for it, the great idea is to sell an item that you have already, but are not using. In this way, you raise the money for the new things without going into debt. You also get rid of something that you weren't really using, and so making more room in your home, and minimizing clutter. It really is a win-win situation. 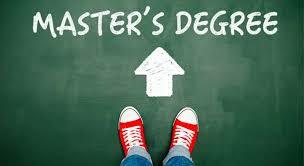 Deciding to pursue a master’s degree is never easy. There are a lot of factors to consider, from the field you want to specialize in and the course to take, all the way to whether the master’s degree is valuable enough to pursue in the first place. There is no easy way to get around the decision making process, either; you have to decide for yourself whether it is the right thing for you. While I can’t help you make that decision, I can give you some help with figuring out whether a master’s degree is a good idea. Here are some of the ways a higher degree can help you build a better future. The master’s degree program will still be very challenging. You have to meet entry requirements and keep up with the course’s standards in order to earn the degree. That said, there are programs designed to help make the process much more enjoyable. Online programs have been popular these past few years for this very reason. The online courses available today, brought by top universities such as Rutgers Online, allow you to have the opportunity to pursue a master’s degree without the extra hassle. You don’t have to commute and attend classes, which means you can take the online course even when working a full-time job or while staying home to take care of the family. To make it even better, simply taking the course – and updating your CV to reflect the big step – is often enough to get you considered for a promotion. The degree you choose to pursue should be in a field you genuinely enjoy. This will help make staying motivated throughout the course easier. It also means you will be able to work in the field you enjoy; you can shape the future you want, starting with the right master’s degree under your belt. 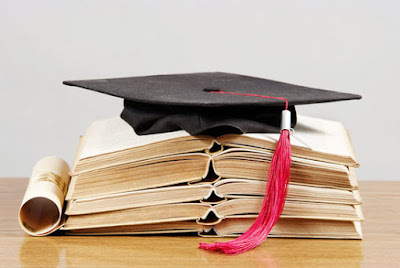 An MBA is one of the most popular master’s degrees you can get today. There are plenty of online MBA programs to choose from, with different specializations and focus of study. You should always opt for an AACSB online MBA program. The AACSB accreditation allows you to get the most value and recognition for your MBA degree. Other degrees such as a degree in nursing, statistics, and social work are just as promising. We’re still experiencing a steady economic growth – and will continue to experience it for the next few years – so there will be plenty of jobs and careers to get into by the time you are finished. Another way pursuing a master’s degree can help you build the future you want is the opportunity for a career change that presents itself as you choose a major. If you’ve been working in finance and you have been wanting to make that jump to marketing in order to follow your passion, pursuing an online MBA degree in marketing is the perfect way to finally take the leap. A higher degree is always valuable. You will be able to land a better position, earn more and start shaping the future you have always wanted from the time you choose to enroll in an MBA program. Left Quartzsite behind for the week. Too busy over there, while the Big Tent Show was happening, and internet was a slow crawl. Craggy Wash is near Lake Havasu, which offers more "in town" as well, so we'll stay here till Friday and head back. We left the bikes behind as we didnt think the road was too good, but we walked up the road the other way today and it was more packed. So, it would have worked. Oh well. Happy New Year One Income Dollar readers! 2017 is officially here, and that means delicious new Kellogg’s products are hitting grocery store shelves across Canada! 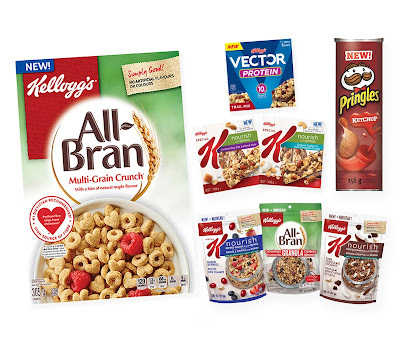 This year, Kellogg Canada is debuting eight new products that are sure to satisfy your taste buds. From quinoa and dark chocolate, to mixed nuts and real fruit pieces, these new products feature real, visible ingredients and delectable flavours. 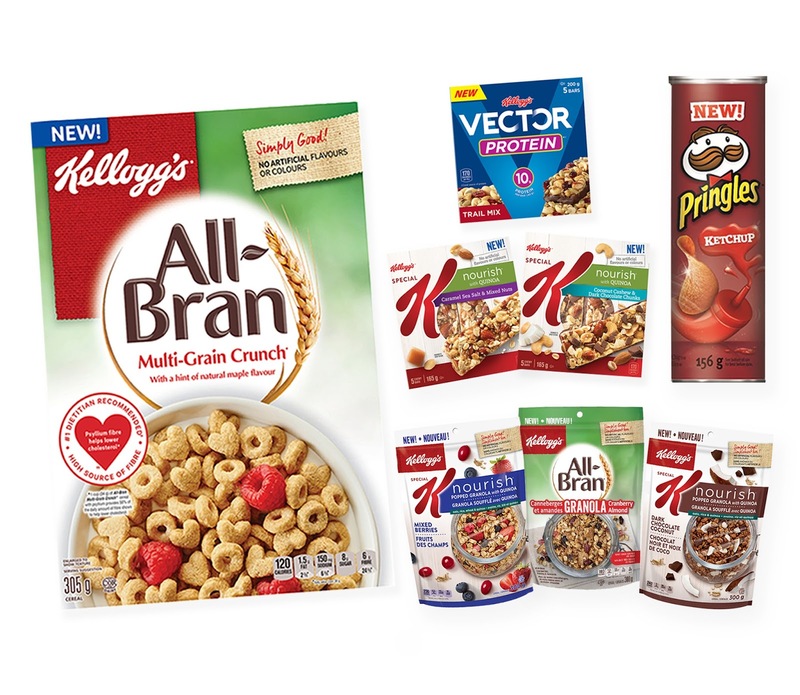 The new lineup offers tasty options for cereal and snacking from favourite Kellogg Canada brands, including Kellogg’s Special K, Kellogg’s All-Bran, Kellogg’s Vector and Pringles. A random draw will be held by Random.org on January 31, 2017 from all Canadian entries received. Tell us if you had a New Years Resolution to eat healthier this year. Also leave your contact info in case you win! One of the nice things about getting away from the Canadian winter, is that we have fairly good weather while down south in the USA. This means we can spend more time outdoors, and one of the things we do alot of when here is go out walking. Every morning unless it's raining, we do a hike up the road, with Jake, as well as smaller shorter walks during the day with him.We had some cheaper brands of shoes we were walking in, but Gerry was finding that he could feel stones through the bottoms of his shoes, (lots of rocks and gravel out here), and I didnt find mine were offering the support I needed. We have reviewed for Skechers Canada in the past and always loved their brand of shoes, boots, etc. Gerry loves his Men's Sport Athletics, After Burn Memory Fit shoes. He says they are very comfortable, the best walking shoe he has ever had, that conforms to his foot. A very well made shoe for a fraction of what you would expect to pay for this quality. Gerry had fractured his ankle a few years ago and found the Skechers brand shoe provide ample support for his ankle and make walking pain free. Other brands have not offered the same relief. I love my Skechers Women's Sport shoes, the D'Lites Play On, air cooled with memory foam. These are a comfortable shoes that offer great support when out walking and are also a stylish shoe that you can wear out shopping as well, and feel comfortable in them all day. I had as well fractured my toe years ago, and a good walking shoe is important as well for me. We are looking forward to the many miles we will cover in our Skechers!